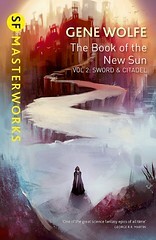 Michael Andre-Driussi has published a new article on irosf.com in which he uses The Urth of the New Sun to shed some light on the many mysteries that shroud The Book of the New Sun. As with everything Michael writes it’s an enjoyable and enlightening read. Just reading it myself has me wanting to pick the Urth Cycle back up for another go.